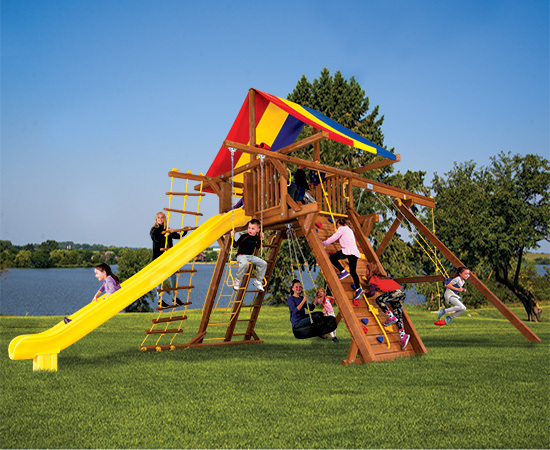 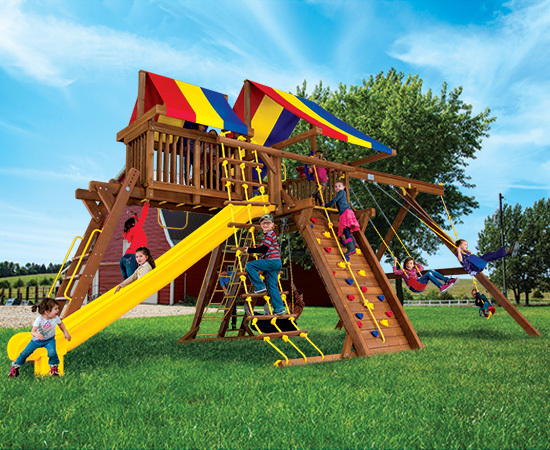 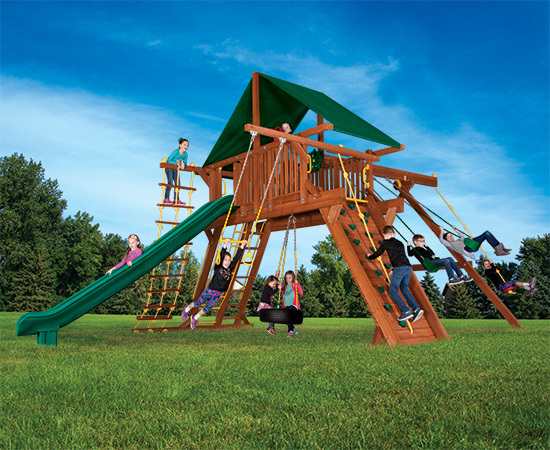 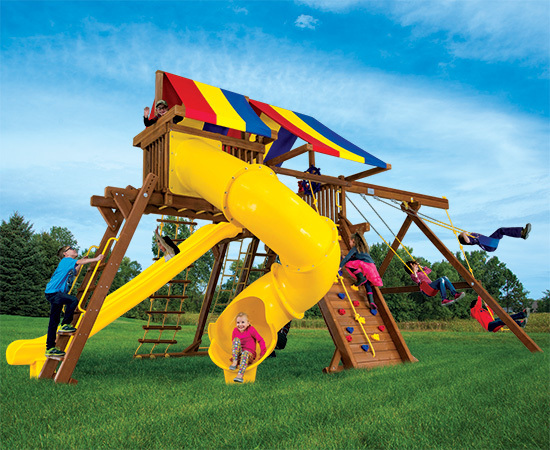 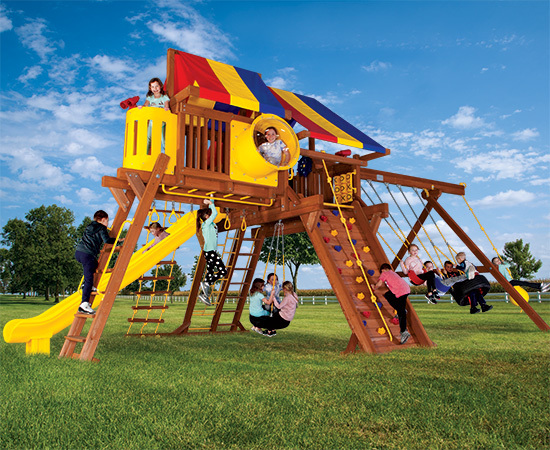 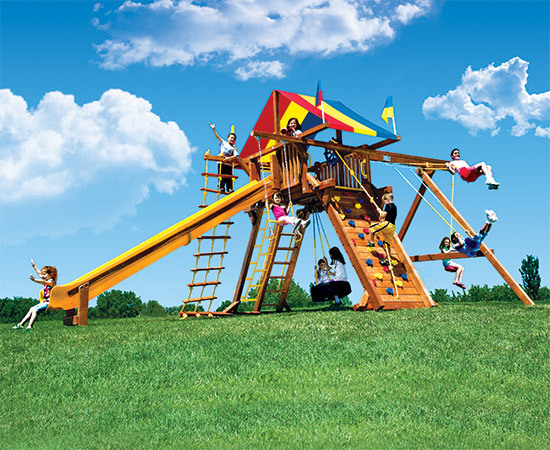 Our King Kong Castle swing set is Sky High! 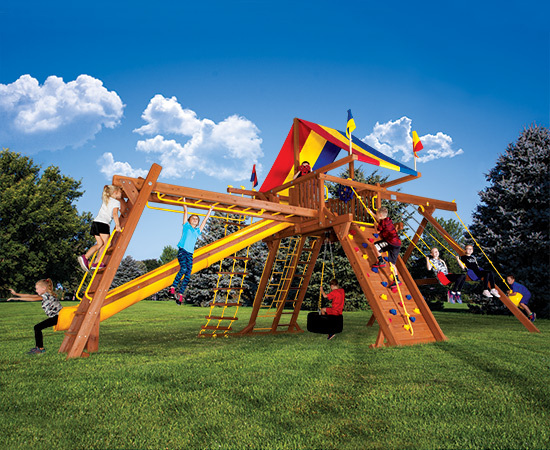 Take our Original Rainbow to new heights with a 10.5’ swing beam height and 7’ 2” deck height. 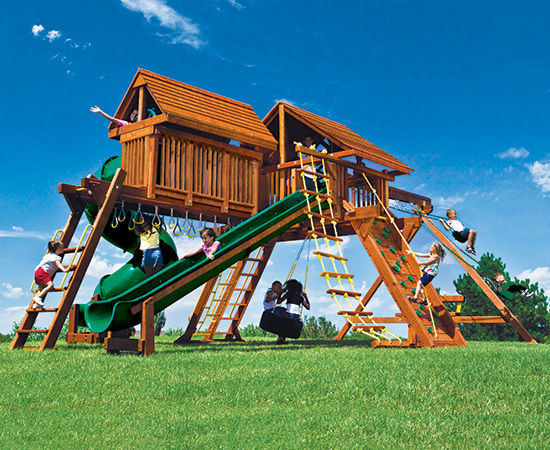 Along with an incredibly long 15’ Super Scoop Slide. 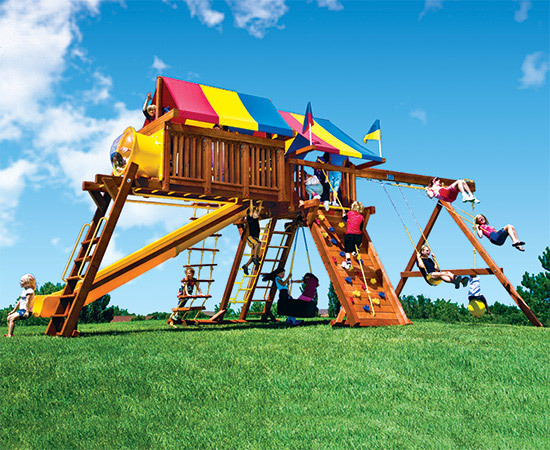 This is our biggest Castle and the biggest Castle swing set in America. 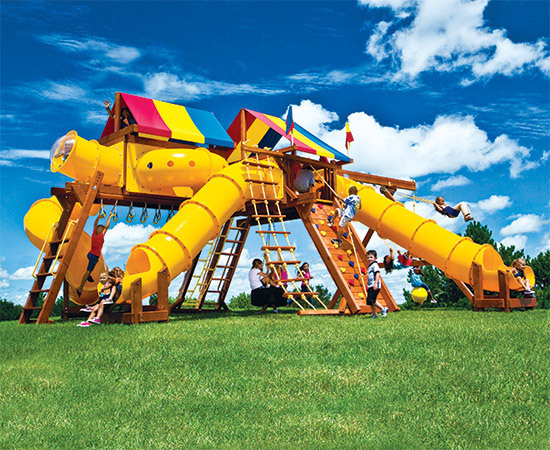 It’s an absolutely unbelievable structure that has stood the test of time! 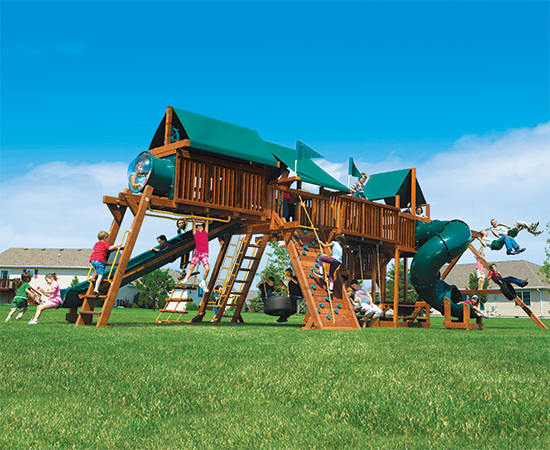 King Kong Castles have all available options, add-ons and accessories and are fully modular and expandable. 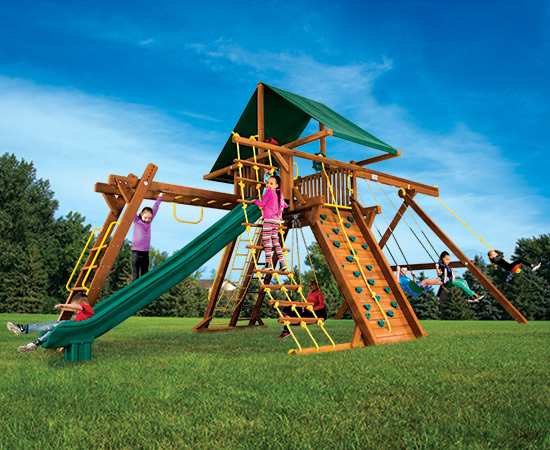 It’s a magnificent structure for your older children as well as Mom and Dad.